A model and an architecture, Cynthia Kutscher has been crowned Miss Uruguay Earth 2012 at the Club Solanas Punta Del Este on Saturday, 28th January, 2012. Cynthia Kutscher will represent Uruguay in Miss Earth 2012, the 12th edition of the Miss Earth which will be held at the Versailles Palace in Alabang, Muntinlupa City, Philippines on Saturday night of 24th November, 2012. 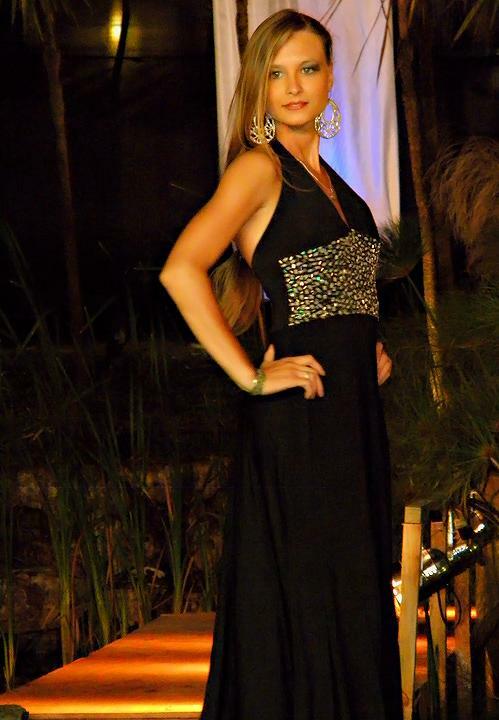 Cynthia Kutscher has won the Miss Uruguay Earth 2012 award, Agustina Mederos (22) has won the Miss Earth Air title. Mariana Pellejero (21) has won the Miss Earth water title and Andrea Vezzoso (19) has won the Miss Earth Fire title. Cynthia Kutscher is 23 years old and 170 cm told. Her weight is 54 kg and her vital statistics in inches 32-24.8-36. Her hometown is Saito, Uruguay. She is a student of Architecture, study design and decoration. She is professionally a Model. When asked Cynthia about environmental advocacy and why did you choose it, she replied, “Uruguay is a small country in South America. It has magnificent history, beautiful nature, magical shores and very friendly people. We are surrounded by neighbouring Argentina, Brazil and the Antarctic Ocean. The Uruguayan speaks Spanish and our people are crazy about football. Our people love food, wine, nature and our culture. Despite being a small country has beautiful landscapes, and has a bit of everything, people are very friendly and would not trade it for the world!”.